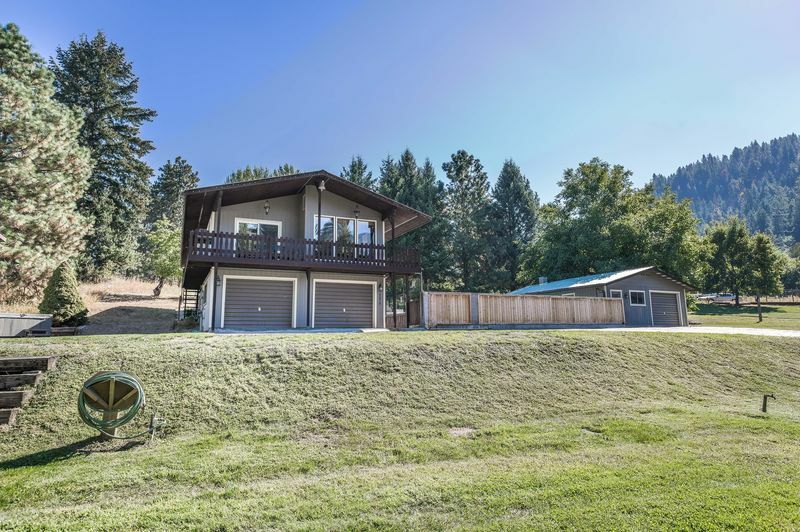 With a stunning view of the Enchantment Mountains, this large 2 level home close to town features a beautiful seasonal outdoor pool (June -September), a spacious Great Room, and private hot tub. Located only 8 blocks from downtown, Leavenworth Retreat is easy walking distance to the Bavarian festivals, restaurants and shops. Just 2 blocks from the Leavenworth trolley stop and the Safeway grocery store, it’s easily accessible in a very attractive, private residential setting. 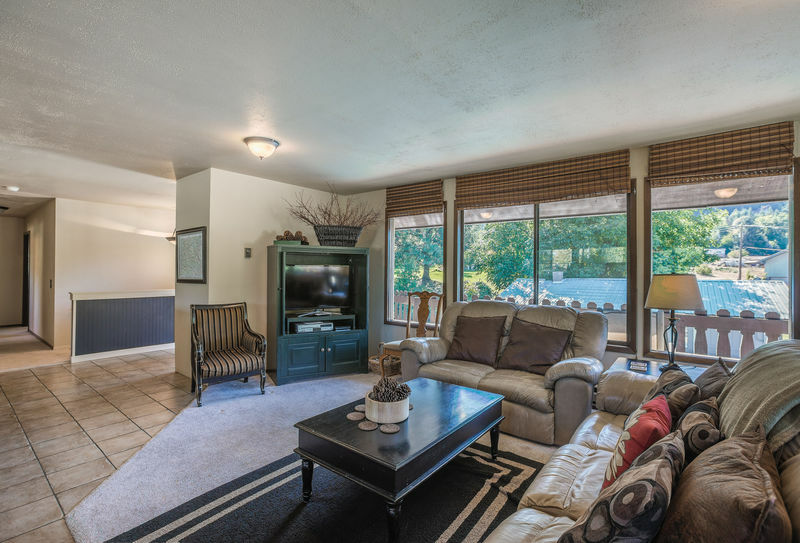 Very nicely furnished and decorated, Leavenworth Retreat is large enough to accommodate up to 12 comfortably, with 4 bedrooms that include 2 kings and 2 queens, and a TV room with 2 futons. 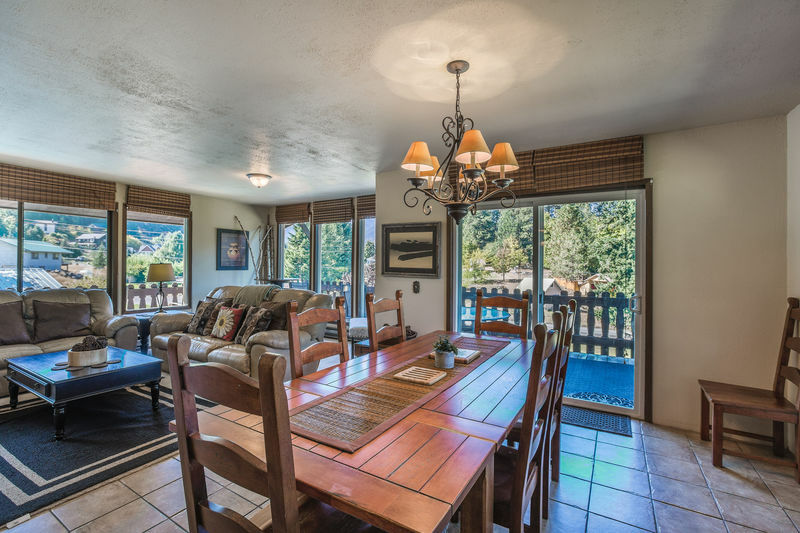 The spacious Great Room combines the kitchen, dining room, and living area in a large and comfortable living space with territorial views of the Echantment Mountains, Icicle and Tumwater Ridges. The three bathrooms are very nicely designed in granite and tile. Additional amenities include a ping pong table, lots of games, a large outdoor BBQ, cable TV, and high speed internet. 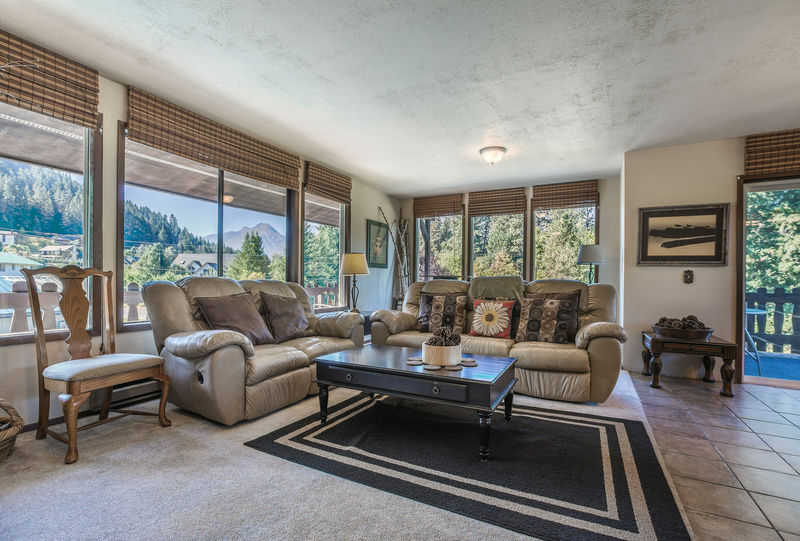 A perfect vacation retreat in every season, Leavenworth Retreat is an ideal holiday vacation spot for extended family– close to winter recreation and downtown festivals. In the summer, it’s easily accessible to biking, hiking trails, golf, water sports, live theater shows, and shopping. Leavenworth Retreat has already been a popular vacation spot for many years. Now, with new ownership and under new management, it will continue to be one of the Bavarian village’s very favorite getaway locations!